September 16th: Capellan Confederation and Free Worlds League invade Federated Commonwealth in Operation Guerrero. December 15th: Operation Guerrero ends. Clan Wolf declares the Trial of Refusal to Clan Jade Falcon, thus starting the Refusal War. Warrior House Hiritsu invades the Sarna Supremacy world of Kaifeng. September 18th: Katherine Steiner-Davion uses her Emergency War Powers to secede the Lyran half of the Federated Commonwealth. She is named Archon of the Lyran Alliance and quickly signs a truce with the Free Worlds League. November 20th: Second Skye Rebellion ends. ComStar opens its historical vaults to public access. The first colonists arrive on the world of Cygnus in the New Colony Region. May 20th: Joshua Marik dies and is replaced with a double. September: Damien Constantine is assassinated. Isis Marik moves to Sian. Natasha Kerensky is killed fighting Clan Jade Falcon on Twycross. Clan Smoke Jaguar develops the Harpy ProtoMech. Clan Hell's Horses develops the Chemical Small Laser. Clan Hell's Horses develops the Chemical Medium Laser. Clan Hell's Horses develops the Chemical Large Laser. Clan Wolf introduces the ER Pulse Laser. Clan Coyote introduces the Streak LRM-10. Free Worlds League scientists retro-engineer and introduce the Ultra Autocannon/2. Free Worlds League scientists retro-engineer and introduce the Ultra Autocannon/10. Free Worlds League scientists retro-engineer and introduce Semi-Guided LRM technology. Free Worlds League scientists retro-engineer and introduce the Swarm-I munitions for LRMs. Draconis Combine introduces the Kraken-T capital missile. 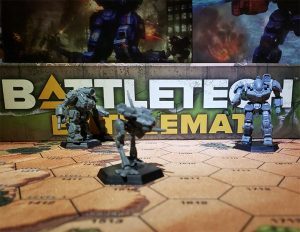 Federated Commonwealth develops the BattleMech Flail. Capellan Confederation creates Thunder-Augmented, Thunder-Vibrabomb, Thunder-Inferno, and Thunder-Active upgrades to standard Thunder LRM munitions. Jalastar Aerospace begins full-scale production of the Typhoon Urban Assault Vehicle. Achileus battle armor jointly designed by Free Worlds League and Word of Blake. Free Worlds League fields Longinus battle armor. First Fox-class Corvette enters the service of the Federated Commonwealth. The Draconis Combine introduces the Kyushu Frigate. The Fulcrum Hovertank enters full production on Skye for the Lyran Alliance. Free Worlds League Illium Shipyards introduces the two Zechetinu I & II-class Corvettes. 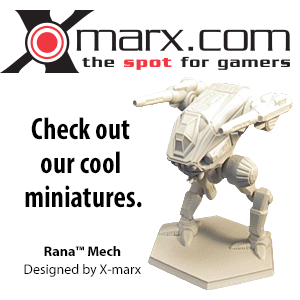 The AXM-3S Axman BattleMech variant is introduced. The AWS-9Q Awesome BattleMech variant was introduced. The Blackjack OmniMech is introduced. The JM7-D variant of the JagerMech BattleMech is introduced. This page was last edited on 7 June 2017, at 19:44.